Company insiders and institutional investors alike have been dumping shares of the Monsanto Company in recent months. While consumers have concerns with Monsanto’s business due to its genetically modified organism (GMO) products, investors are worried about its business practices and stock performance. 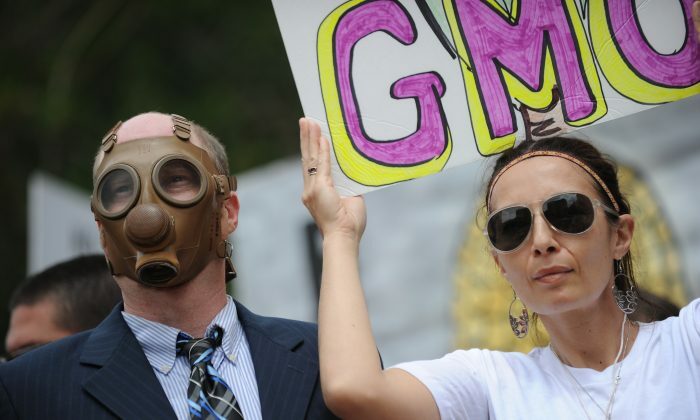 “People increasingly don’t like Monsanto, and that’s a direct result of all the growing realizations about the dangers of GMOs, [and] Monsanto’s predatory business practices,” said Mike Adams, editor of Natural News. For its 2013 fiscal third quarter the St. Louis-based Monsanto reported better than expected earnings due to Latin American corn business and seeds business in the United States. Net sales were at $4.3 billion, up by 1 percent from the 2012 third quarter. Net income for the quarter decreased by 3 percent and operating expenses increased because of a 5 percent increase in research and development Costs. On the positive side, Monsanto reports that the demand for the company’s products has increased, but it is lacking acreage to meet that demand. The company’s stock was somehow volatile during the year, trading both above and below $100 per share in 2013. However, over the last three months it has gained 2.5 percent, trailing the benchmark S&P 500 Index which had increased 7.7 percent during the same period. A significant number of Monsanto shares, including insider shares, were traded, with 198,550 shares being traded over the last three months and 1.3 million during the past year. However, only 22,023 shares were bought while 176,527 were sold during the past three months. Over the past year, 1.1 million shares were sold, while only 207,305 shares were bought. Nasdaq disclosed that 19 officers sold the company’s shares during the past three months and 59 company insiders disposed of 128 shares over the past year. All insider trading were from execution of options. The officers held shares at a fixed price and sold the shares at the market price, making substantial profits. In the stock market, the holder of an option may sell a certain amount of securities at a given price and at a given time. The stock transaction happens on completion and not when the option is distributed. “Over the last half-year time period, Monsanto Company has seen zero unique insiders purchasing, and 10 insider sales,” according to Insider Monkey, a website which tracks insider activity. One of the major Monsanto insider sellers was Hugh Grant, Chairman and CEO. He sold a total of 487,420 shares between January 2012 and July 2013, profiting greatly by exercising his options. Besides officers of Monsanto, some funds have distanced themselves from the company ahead of the third quarter investor reporting, given the recent negative coverage of GMO foods and their health risks. The number of hedge funds holding long positions decreased 6 percent during the second quarter, with 59 funds retaining their investments in Monsanto, according to Insider Monkey. According to Natural News, Vinik Asset Management and Point State Capital reduced their positions in Monsanto by a combined total of about $156 million. A few analysts recommend that investors, especially hedge funds, reduce their exposure to Monsanto, as well as to funds that hold a significant number of stocks in the company, such as Lone Pine Capital and Blue Ridge Capital.